The People have been told the check on unconstrained federal power is achieved spreading authority amongst the three different federal branches: the legislative, executive, and judicial. This is an incomplete and perverted view. The Founders understood the federal government would not constrain itself, not matter how many branches it was divided into. For that reason, the Constitution contained checks and balances beyond mere federal mechanisms. For example, the original design called for Senators to be appointed by their state legislatures, subject to immediate recall, and thus accountable solely to their States. The House of Representatives would represent the People and write the legislation. The States, sitting as Senators, would have veto power, and thereby constrain the federal government. This was fundamental to a republican form of government, and this is how Senators were chosen until 1913. It changed in 1913 with the alleged ratification of the 17th Amendment. It was one leg of a plan to overthrow our republican form of government. The other two legs were the 16th Amendment and the Federal Reserve Act. According to diligent efforts by Red Beckman and others, it has been proven none of these were lawfully passed. One consequence of the removal of external checks and balances has been a federal land grab that has denied the Western states of their equal standing, and is now depriving people and communities of their lawful rights to private property and mining rights. People outside the Western States may not know that the federal government claims control about 65% of our lands. By contrast, the number averages about 3% for the Central and Eastern States. The original requirement was that the federal government would “dispose” of undesignated lands to the People. This was the process for creating debt-free, private property, i.e. the freeholds that are essential to a free people. By contrast, the abolition of private property is the centerpiece of Communism, as defined by Karl Marx. 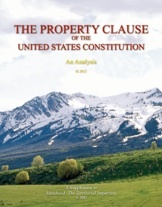 In 1976, the federal government declared its intent to breach its trustee duties by keeping for itself control over all lands not already privatized, i.e., the “public lands.” That decision primarily affected the Western States, the true national treasury consisting of hundreds of trillions of dollars of wealth in the form of natural resources. It is no accident California was the first western state to be created, in 1850, immediately after gold was discovered in 1849. Oregon was next. However, the recent federal land grab is also in direct conflict with its own 1962 Eisenhower Report, which concluded the States retain jurisdiction over 95% of the lands now claimed by the feds. 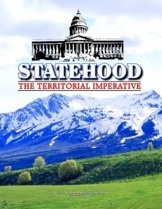 The Western States, resources, forests, economies, and rights have been under ceaseless assault by agenda-driven individuals inside and outside government that appear to work together to control and apply government force to accomplish their agendas. As a logical consequence, the Western States are educating themselves on original intent, the Constitution, legislation, Supreme Court decisions, and more, and reaching the conclusion their futures―and the nation’s―will be far better served by reasserting states rights and jurisdiction. Examples of the actions being taken, and recommended books, appear in the right-hand column of this page. •SB 13-142 To establish Colorado’s title to its own public lands. •HCR-21 Authorizes committee to ascertain the process to acquire title and control of the state’s own public lands. •HCR-22 Demands the federal government to transfer Idaho’s public lands to Idaho. •SJ15 Authorizes study to evaluate state management of Montana’s public lands. •AB227 Creates task force to study the transfer of state public lands to the state. •HB292 Creates a task force and mechanism to transfer the state’s public lands to the state. •HB142 Establishes an office to study and report on public lands policies. •HB228 Creates a task force to investigate recourses to compel the federal government to relinquish the state’s public lands to the state.